Very Good. 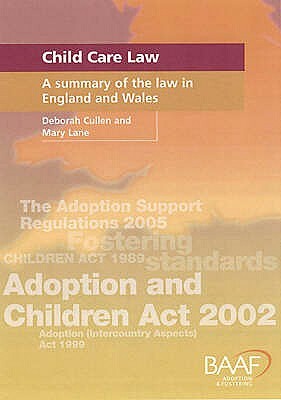 Child Care Law: A Summary of the Law in England and Wales by Lane, Mary, 2003-10-01. 64 p. Intended for professional and scholarly audience. Very good. FAST Despatch by First Class Royal Mail.